Yoga is relaxing. Yoga lets you relieve stress. Yoga will lower your blood sugar level. A few months back, I started a graphic design job at a fitness club. I got a free gym membership, and decided to try a Yoga class. I felt great afterwards; relaxed, my mind was cleared, my shoulders had no pain, I was all stretched out, but my blood sugar was severely low. My blood sugar level was elevated before I began (about 180 mg/dL), and I had given myself insulin. I thought I had over treated the high. I brushed it off, and tried another class a couple weeks later. The next day, I decided to do some research. What were other type 1 diabetic’s have saying about yoga? 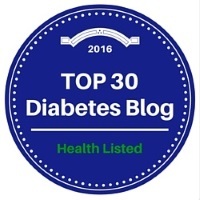 To my surprise, there weren’t many articles relating to type 1 diabetes! 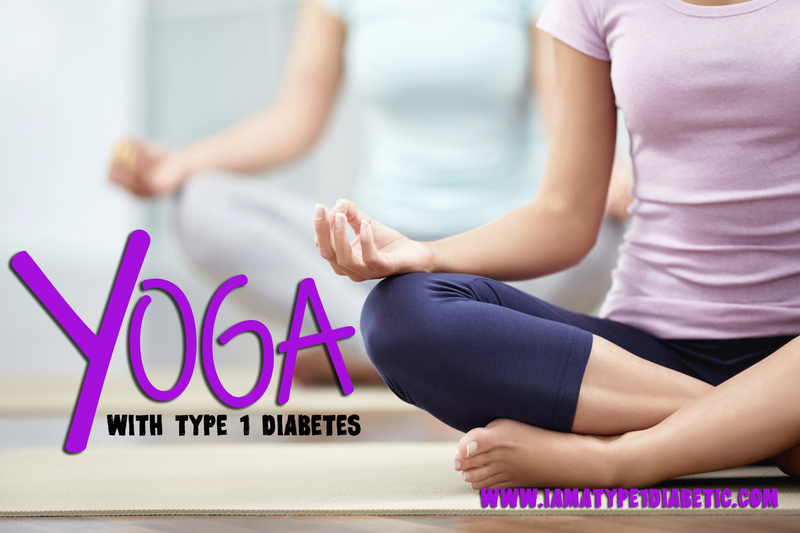 Yoga is used as a wonderful tool to lower blood sugar levels in type 2 diabetics, but that wasn’t what I needed! The best article I could find, relating to type 1, was from We Are Diabetes. In non-type 1 diabetics, stress may potentiate action caused by epinephrine, cortisol and glucagon – hormones that boost blood sugar levels and diminish insulin activity. Because type 1 diabetics can not naturally produce insulin every time something stressful arises (and let’s face it, we have just as much stress as non-type 1 diabetics, if not more) we can often experience a series of frustrating high blood sugar readings on our meters if we’re going through a stressful time. Yoga counters the effects of stress by relaxing the sympathetic nervous system, thereby helping the endocrine glands. That was the best advice that I could find… and it makes plenty of sense. My blood sugars are usually high, probably due to some sort of stress. Yoga relieves that stress, and magically my blood sugar levels plummet! Having type 1 diabetes is certainly a balancing act. There is always some sort of ‘explanation’ as to why your blood sugars went high, or why they went low. From now on, I need to make sure my insulin pump is turned off, and see what yoga really does to my blood sugar levels. What has your experience been with diabetes and yoga? Has any other Type 1’s experienced severe lows after doing a yoga session? ← People With Diabetes, We Need You! Yes! I do yoga every day, and usually lower my basal (I also use an Omnipod) and pop a glucose tablet before class. Works most of the time, but not always. Just this evening, I had a really bad low as class was finishing up. Of course, I overtreated, and now I’m high. Grrrr. I am a type 1 diabetic of over 35 years and am actually looking for something to get my blood sugars lower. I am a mom of two children under 8, a wife, and a teacher. My dad is in hospice care. So as far as stress goes, my plate is full. I was wondering about trying Tai Chi or Yoga for the relaxing calming effect but now i am a little worried after reading your posts and the replies. I am restarting my CGM and reconfiguring my pump settings. Just wondering if maybe on my pump, i should set a different pattern for the exercise. But I find, I don’t always want to do the same exercise due to all the highs and lows. And will i even remember that I have a different pattern? I feel that also change in age levels and life stages as someone said in the replies, can effect your insulin absorption levels. I still do love the idea of yoga, anyone else have advice?